I’m often asked where people can buy the pigs we raise on our farm. The answer isn’t exactly an easy one. 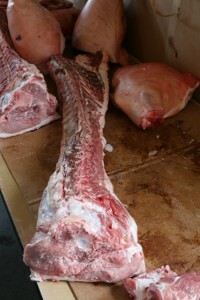 We do butcher our own hogs. Every year over Christmas, my family gets together to butcher, cut and wrap up meat for our own consumption. We always have ham, ribs and lots of bacon. We also grind plenty of sausage. 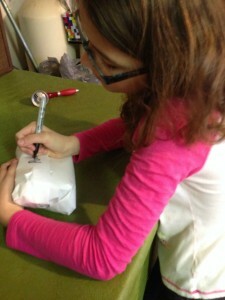 And the kids usually wrap and label the meat. But that’s for us. So where can you buy the hogs we raise on our farm? Keep calm. There’s plenty of bacon for everyone. We sell a large amount of hogs we raise to Indiana Packers based in Delphi, IN. Indiana Packers is a 20-year veteran pork production plant that has seen tremendous growth and is now looking forward to an even brighter future, with plans to expand its operation and capacity. Since the founding of the business in 1991, Indiana Packers has grown to become a national leader in the processing of premium pork products. One of those products is sold under their Indiana Kitchen label. Bacon. Yummy, tasty, bacon. When we run out of our own bacon from the hog we butchered, and I NEED a BLT sandwich, I always buy Indiana Kitchen bacon. That bacon may be from the hogs we raise. Indiana Packers purchases hogs from many family hog farmers in the Midwest. It’s a company we have worked with for many years and I am proud to have our hogs carry the Indiana Kitchen label. 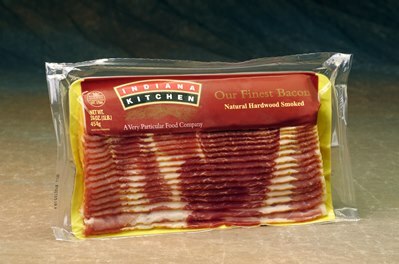 So where can you find Indiana Kitchen bacon? Look at their website for a store locator. 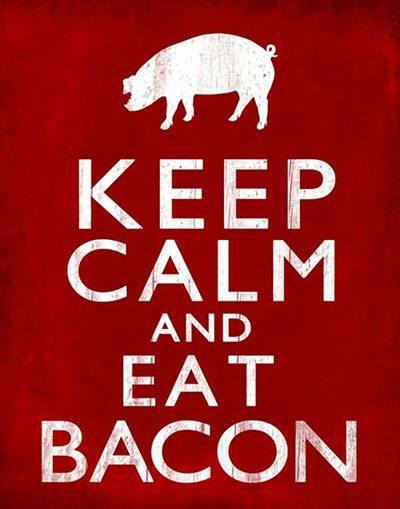 And eat more bacon!! Your purchase could likely be hogs that we raise on our family farm. Thanks for the Indiana Kitchen information! I’ve never come across it, but now I know to look for it. I can’t find the locator on their site, but I’ll just keep my eyes open in the grocery store.